Antoni Sánchez-Ortiz was born in December 4th, 1978 into a family with few financial resources in a small valley in the Spain’s Pyrenees. Since he had little talent to study science and so continued his studies until college. After five years in college, he majored in analytical chemistry and more particularly to assess the degree of chemistry in the University of Barcelona. Quickly he moved into the development of a method to determinate fatty acid composition from raw materials ( palm and coconut oil), where he worked at Henkel Düsseldorf plant in Germany. 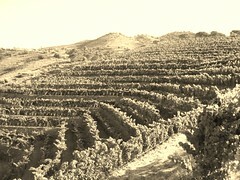 It was there where he took a course of wine tasting and there began his interest in the discovery of quality wines. Consequently he fell in love with fine wines. In the following years, after studying enology within the University of Tarragona and the University Victor Segalen in Bordeaux (France) he graduated as a winemaker at 23 years of age. For ten years now he has worked full time within the demanding context of producing world-class wines, both as a winemaker and as a viticulturist in the renowned appellation of Priorat, Spain, working on Grenache and Carignane to make wine for Cellers Melis and Vinyes del Terrer, with the achievement of the best rated red wine in this appelation. 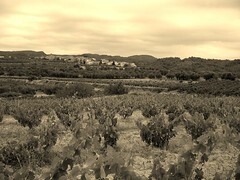 He is known for obtaining outstanding fine wines with a unique personality, continuing in parallel with his project of making his own wine in 2007, when he decided to buy his own vineyard, in Priorat, making a superb red wine, as an expression of varietal and site. He called his first wine as Sauri, having released only the first vintage in 2008. 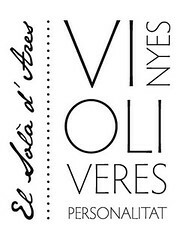 Currently, with the Solà d’Ares project he is also committed to producing one of the high-end, handmade organic olive oil in Spain’s Pyrennees as well as the first grape beer and tea kombucha of Catalonia, together with his friend and Engineer Jordi Dalmau . 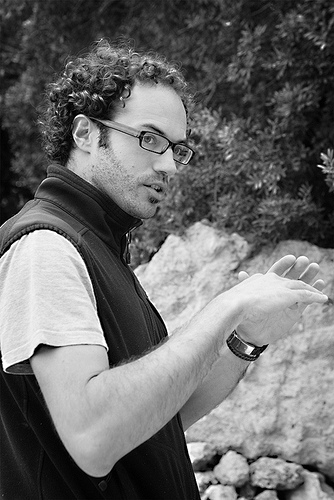 His conviction that great wine results from an intimate knowledge of the land arises from additional experience in vineyard management and climate warming studies as a PhD candidate in Tarragona, where he has spearheaded an extensive project titled Climatic Warming and Grape and Wine Composition in the Priorat AOC. This research and thesis work continues to deepen both his knowledge and his skills as a winemaker. 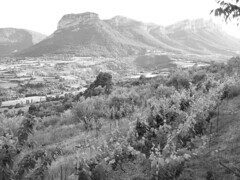 Antoni is still involved in the projects that began in the regions of Priorat and Tarragona while continuing travelling the world to prepare and keep learning from many other wine-growing areas in the world, always to improve their knowledge and to offer also future customers better service. Antoni’s professionalism, language skills and technical expertise would make him a valuable addition to any winery internationally.